Lying on the way to Shangri-La from Lijiang Old Town, Tiger Leaping Gorge is the longest, deepest, and narrowest gorge in the world. 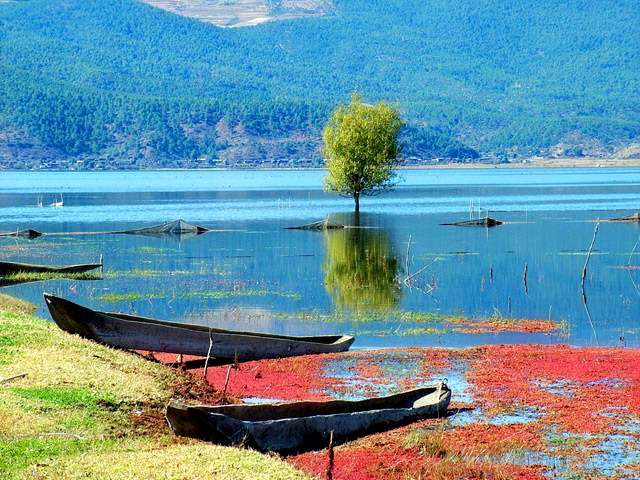 Around 18 km(11.23 miles) in length, it is located at the upper reach of the Golden Sands River; 60km (37.45 miles) from Lijiang Old Town. 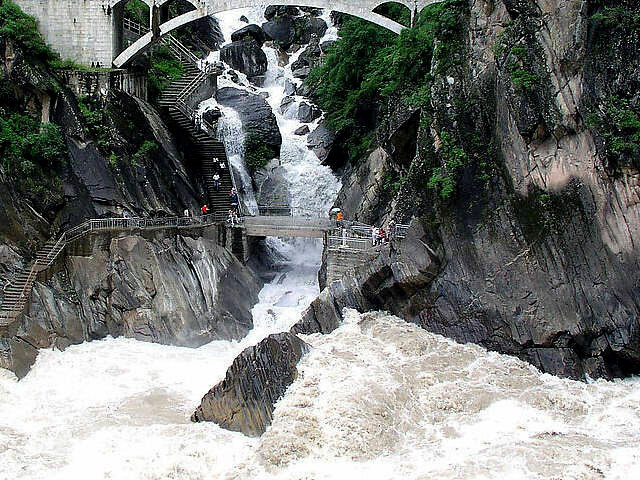 Flowing through Shigu Town (Chigu means Stone Drum in Chinese) which is known as the First Bend of the Yangtze River, the Golden Sand River turns around up north in the crack between Jade Dragon Snow Mountain and Haba Snow Mountain from which a gorge is formed. 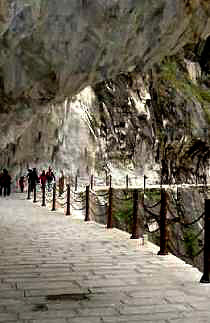 The narrowest part is where Tiger Leaping Gorge located. The whole scape is divided into three sections with curving road of 25 km (15.6 miles); they are the Upper Section, the Middle section and the Lower section. 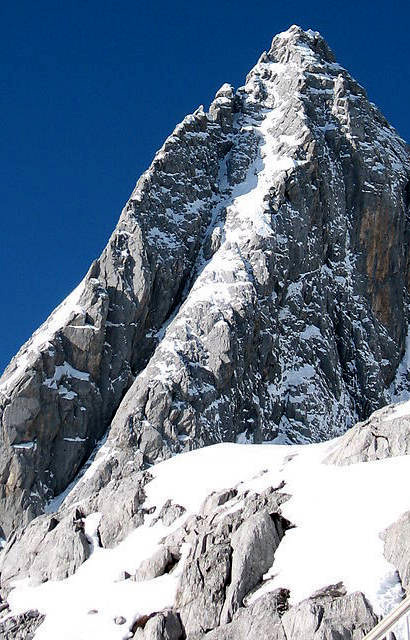 With Jade Dragon Snow Mountain to its east and Haba Snow Mountain to the west, the gorge has a drop of 3790 meters (2.35 miles); which is higher than the famous Hells Canyon (2400 meters; 1.5miles) in USA. 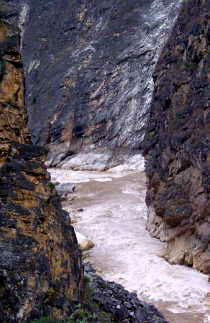 The narrowest part of the gorge is only 30 meters wide. There is a legend that a tiger once jumped across the gorge by clearing the rock from which the name Tiger Leaping Gorge comes. The gorge is dangerous with standing reefs, 21 dangerous shoals, 7 drop-ridge of 10 meters (32.8 ft) high and 10 waterfalls. The fall from the Upper Gorge to the Lower reaches 210 meters (689 ft) with an average of 14 meters per Kilometer. The river is in various states; sometimes it gallops with random stones and flying waves; sometimes it becomes misty with flying waterfalls; which forms a peculiar landscape. Jade Dragon Snow Mountain: 18,000 feet above sea level, looks like a gigantic dragon clad in white snow all year round. It is a sanctuary for rare animals and wild plants. Haba Snow Mountain: It boasts glaciers, lakes and waterfalls, and contains one of the best preserved nature reserves in Shangri-la. 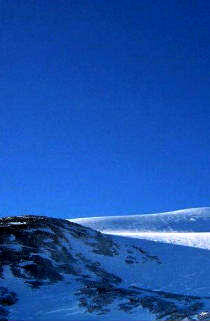 28 Bends on Haba Snow Mountain: It is a difficulty on the hiking way of the gorge; it is also the only way when hiking. 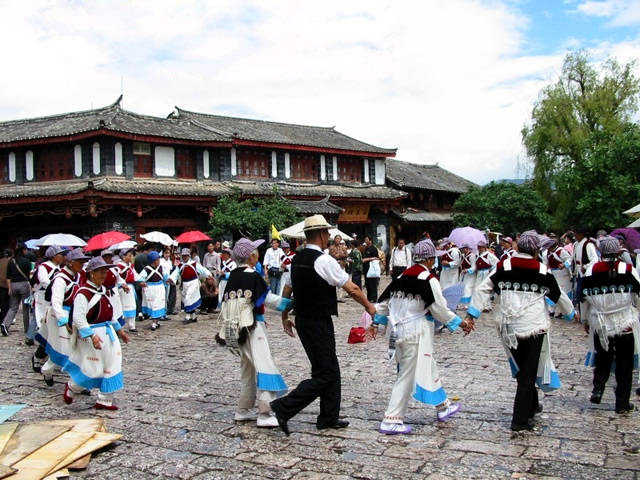 Mantianxing and One Line Sky: The most special attractions in the Middle Section of Tiger Leaping Gorge are Mantianxing (Stars all over the sky) and One Line Sky. If you want to see more pictures about Tiger Leaping Gorge, please click here.